Books are an escape from reality; a means of relaxation for me. I could and would sit in a corner with a cup of tea and read all the livelong day if time - or life - allowed me to. In fact, I'm known to have several books going at once and can keep up with each story line and character. It's one of those not-so-much-useless-but-kinda-is talents I was blessed with, like remembering every birthday and phone number from my entire third grade class. However, when I need to buy something like cranberry juice at the grocery store, despite having it written on my shopping list, my kids reminding me to buy it five minutes before I head out, and walking right past it in the aisle, I still forget to buy it. I don't have a favorite type of read, per se, but I do tend to gravitate towards historical romance novels. There's something about the way the author projects life in that era that's so innocent and sweet, yet dark and delicious. The only books I have a really hard time sitting down with are those non-fictional, heart wrenching, in the trenches kind of stories. Stories so true to life, so in your face, I am left completely choked up after several chapters in or find myself staring up at the ceiling at two o'clock am, praising God I was born where I was, trying to figure out a way I can make a difference to those hurting. I'm certainly not ignorant about the goings on around me, I just know awful things depicted in said books happen every day in war-torn or poverty-stricken countries and it truly breaks my heart into a thousand pieces. With summer halfway over, I haven't really had the chance to kick up my heels and dive into a good book like I would have hoped to, although I did bang through Sylvia Day's Crossfire Novel Series books quite quickly, certainly no pun intended. I will say, despite the fact that these particular books are well written with a decent story line, they could probably make Ron Jeremy blush. Probably. Although I couldn't tell you how many books I've read in my lifetime, I can tell you the best read to date was Me Before You by Jojo Moyes. I ABSOLUTELY love her as an author, but this particular novel of hers left me sobbing in tears. In fact, I was so moved, I thought about it for weeks after I read it. It is so powerful, yet beautifully written. I've yet to find a story that can captivate me as this did. Speaking of captivating, these cupcakes will definitely captivate the mind, body, and taste buds. Sweet and innocent on the outside, dark and delicious on the inside. They're that good, it's almost scandalous. You can totally use a favourite honemade cake recipe for this as well. I doctored this cake mix up to make it dense enough to hold the oatmeal cream pies inside. Preheat oven to 350ºF. 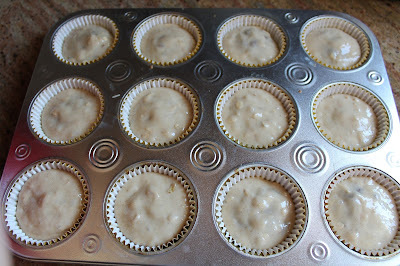 Line two 12-cup muffin tins with paper liners. 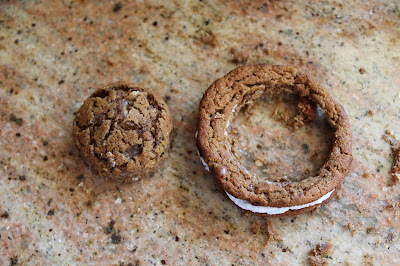 Remove oatmeal pies from cellophane and cut out circles so the pies will fit into liners. Eat scraps before children, husband, or loved one see. Prepare cake mix according to my recipe. Once well blended, place about a tablespoon of batter on the bottom of the paper liners. 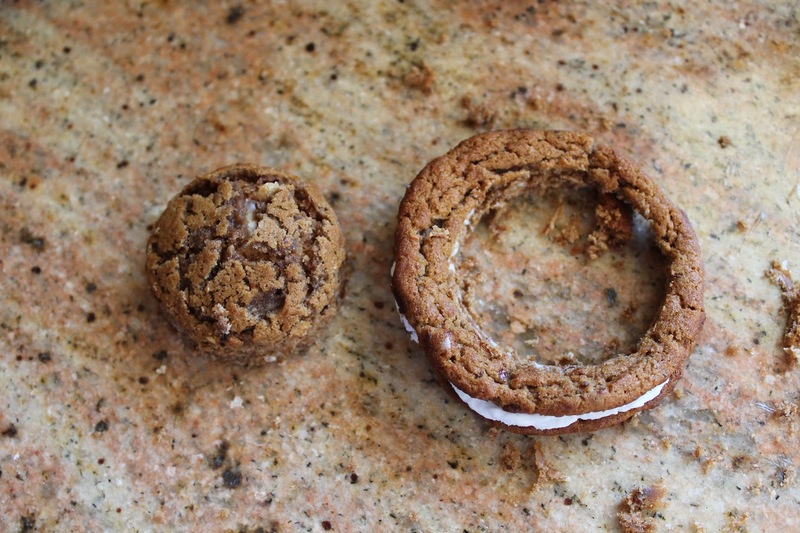 Place the cut out oatmeal pie in the center of cup and press down slightly so batter oozes up. Top with remaining cake batter. Bake for 18-20 minutes. 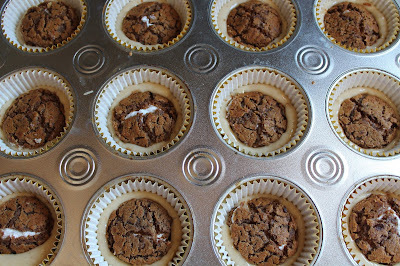 Remove from oven and transfer cupcakes to wire rack to cook completely. In a mixing bowl, beat together butter and marshmallow fluff until creamy. Add in vanilla and slowly incorporate powdered sugar in until frosting comes together. 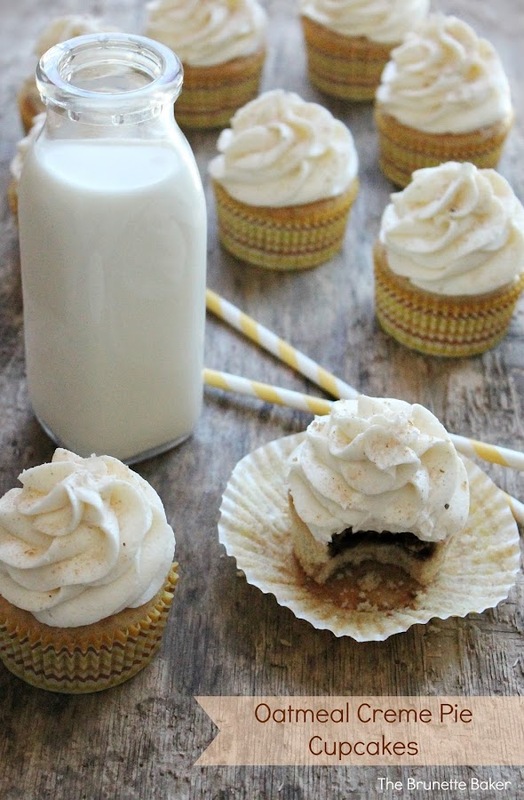 Spread or pipe frosting onto cooled cupcakes and sprinkle with a dusting of cinnamon-sugar over top, if desired. cookies stuffed in cupcakes? um, yes please! also, i love to read too, and am always looking for recommendations. i just put 'me before you' on hold at the library! 1-i loooove to read too! Historical romances are so fun, I'll need to look into that book you recommended! Amazing idea! I love surprises inside cupcakes and these look soooo good!! Oatmeal cream pies are my favorite! I would have never thought about turning them into a cupcake. Great idea! I will have to try your recipe. Thanks for sharing! These cupcakes look SO GOOD! The Oatmeal Cream Pie snack cakes were one of my favs growing up. Pinned and sharing on FB and twitter. Thanks for sharing at Marvelous Mondays! Oh my! I love oatmeal cream pies and the idea of adding them into a cupcake :) Thanks for sharing at Mix it up Monday! These are so awesome! I actually have a recipe so similar on my blog too. Great minds think alike. I love that you added oats to the cake batter!!! These cupcakes look amazing!! I used to read a whole lot in high school and then college. But the past 3-4 years I haven't read and it's making me sad. I picked up a book this summer and it took me a whole month to read!! A whole month!! Maybe I need to try Jojo Moyes to get back in the game. What a sweetly decadent recipe you have! I love oatmeal and marshmallow fluff--great combination. Every summer my personal Summer Reading Program has me reading outside of my preferred genre (trashy romances, historical are good). Right now I'm reading Cooked by Michael Pollan, and it's fascinating. Doing an online book club at Homegrown.org about it, matter of fact. I have to say, I think this is genius! These have to be the best cupcakes ever. Wow, these look so amazing! And that oatmeal creme pie suprise! Ahhhhhhhhhhh. These cupcakes look amazing! Stopping by to let you know I am featuring you tomorrow! Congrats! Oh. My. Gosh. How did I miss these!?!?!? One of my most favorite cookies in the world. Together with cupcakes. Dreams DO become reality! :D YUM YUM! I seriously think I need to hire myself as your taste tester. I love to read...I wish I did it more! I'm in a Book Club, which forces me to put down the computer, and then I have to force myself to pick it back up and put aside my book...two equal loves :) These cupcakes are amazing, great idea!! Do you separate the oatmeal cream pies to make 24 cupcakes, or do you only make 12 of the cupcakes with the cookies in them? Or should the recipe call for 24 oatmeal cream pies?